The physicians of Teton Orthopaedics have been longstanding proponents of the value of orthopedic rehabilitation in the total care of their patients. The very nature of the practice often involves the connection of our patients with physical therapists after seeing one of our specialists. Teton Orthopaedics provides physical therapy services in-house which allows seamless care while allowing our physicians to closely monitor the quality of patient care. The professional, highly-skilled and caring staff at Teton Physical Therapy is uniquely qualified to provide the individualized care patients need to return to optimum function following surgery or injury. Specialized training allows the sports physical therapists to design progressive treatment programs specific to a patient’s needs, providing for a safe recovery in the shortest period of time. 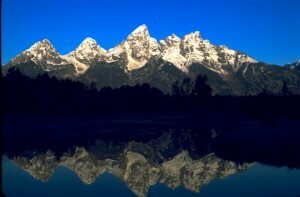 Emily grew up in Bozeman, MT where she developed her love for the greater Bridger Teton area. 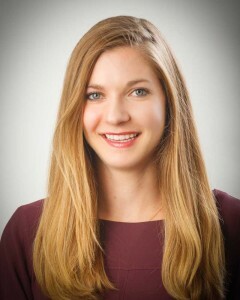 She completed her Doctorate of Physical Therapy at Ithaca College and graduated with honors in 2012. Emily is currently the “lead PT” for the outpatient physical therapy setting and has taken a multitude of continuing education courses that pertain to this practice setting. Some of her more recent achievements include the title of Orthopedic Clinical Specialist (OCS) as well as a licensed Certified Strength and Conditioning Specialist (CSCS). In addition, Emily has taken continuing education courses in vestibular training for vertigo and balance disorders, Strain Counterstrain manual therapy courses, as well as Maitland based manual therapy courses. Emily is an outdoor enthusiast with experience in backpacking, biking, climbing, trail running, and skiing. 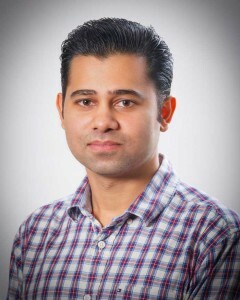 Sandeep graduated with a Bachelor’s Degree in Physical Therapy from Manipal University, India in 2008 and earned his Master’s Degree in Sports Physical Therapy from Guru Nanak Dev University, India in 2010. He has more than 5 years of clinical experience primarily in orthopaedic and sports rehabilitation. He is particularly interested in fascial work and movement science and has been pursuing various certification courses to further his skills. He is a Certified Kinesiotaping Practitioner (CKTP) and a Certified Applied Functional Science Specialist (CAFS) from Gray’s Institute. Sandeep is certified in Myokinematic Restoration from Postural Restoration Institute and Level 1 certified in Functional Movement System (FMS). He has worked with national and European tour golfers and has been interested in golf swing motion analysis for correction and prevention of injuries. He is Titleist Performance Institute Level 1 certified in golf mechanics and swing assessment. Sandeep strongly believes human movement and function holds the key to injuries and health disorders. Restoration of appropriate function can therefore help achieve optimal health and well-being. Lexie was born and raised in rural Maine. As an avid ski racer, her love for ‘real’ mountains and winter brought her west. She graduated from Whitman College with a B.A. in Economics. She then moved to Jackson, Wyoming for a year prior to attending the University of Washington where she earned her Doctorate of Physical Therapy Degree. 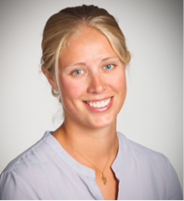 Lexie has experience with musculoskeletal, neurological, and pediatric conditions. She has completed her North American Institute of Orthopedic Manual Therapy (NAIOMT) Level 1 training in addition to specific training in women’s health. She is passionate about making a difference in the health and wellness of her patients and empowering them to reach their goals. In her free time Lexie enjoys skiing, biking, rock climbing, yoga, and spending time outdoors. Lindsay grew up in Whitefish, Montana where she was heavily involved in athletics, including downhill ski racing, soccer, sailing, and golf. 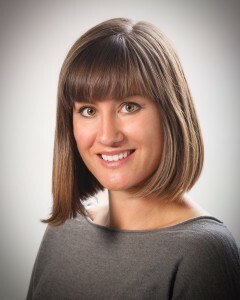 She attended University of Washington and University of London for undergraduate studies and remained at University of Washington to complete her Doctorate in Physical Therapy. While in Seattle, she owned and operated a personal training studio focused on one-on-one training toward individualized fitness goals. Since moving to Jackson, she has resumed her active lifestyle of skiing, hiking, biking, and generally enjoying the outdoors. Lindsay works in both the home health and outpatient settings and is passionate about assisting patients improve their quality of life and get back to the activities that make them tick.